Myobuddy Massager is a professional strength massager with vibration + percussion + intense frictional heat. It is used by professional CF Games athletes like Dakota Rager and amateur box athletes, trainers, and massage therapists to increase muscle performance, speed up recovery, relieve aches, pains and stiffness. Satisfaction guaranteed. Free shipping + 1 year warranty! The deal ends in 72 hours! 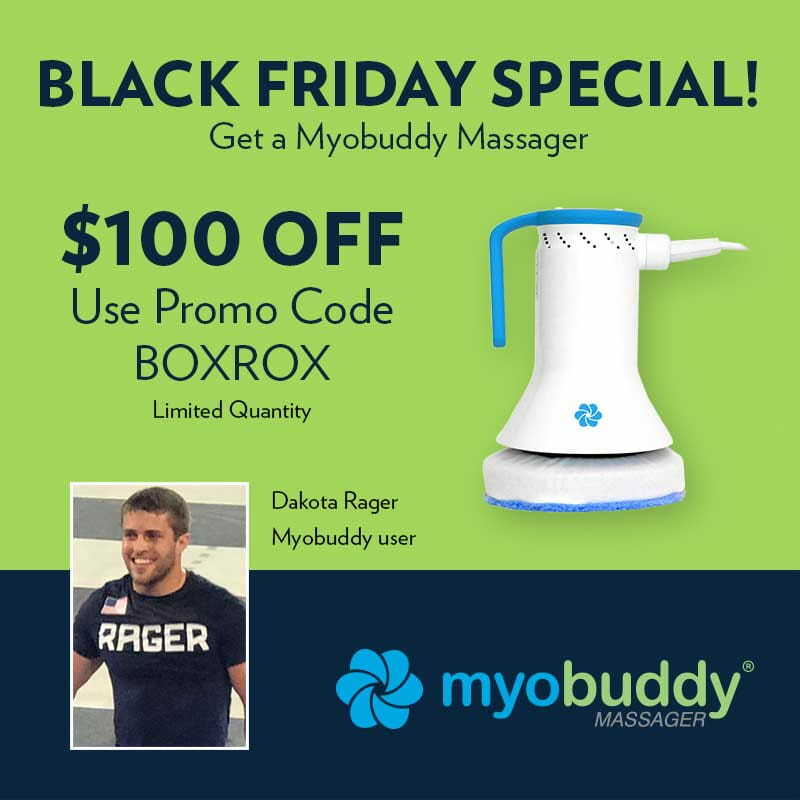 Use code BOXROX to get the deal and improve your recovery long-term!